A brief history of major events shaping the current U.S. floral industry and local florists. FTD's Mercury Man logo debuted. Phillip's Flowers opens its first shop in the Chicago area. Telegraph Delivery Service (later known as Teleflora) is founded by Edwin Douglas. The Floriculture Hall of Fame is founded by SAF. Professional Floral Commentators International is founded by SAF. The American Floral Marketing Council (AFMC) is created by SAF. It became one of the nation's largest voluntarily funded marketing programs for the floral industry. American Floral Services (AFS) is founded by Herman Meinders in an Oklahoma City garage apartment. Florafax acquires Florafax Delivery, Inc., a flowers-by-wire service. Jim McCann opens his first Flora Plenty flower shop in the New York metropolitan area. FTD launches The Mercury Network, connecting its member florists electronically. 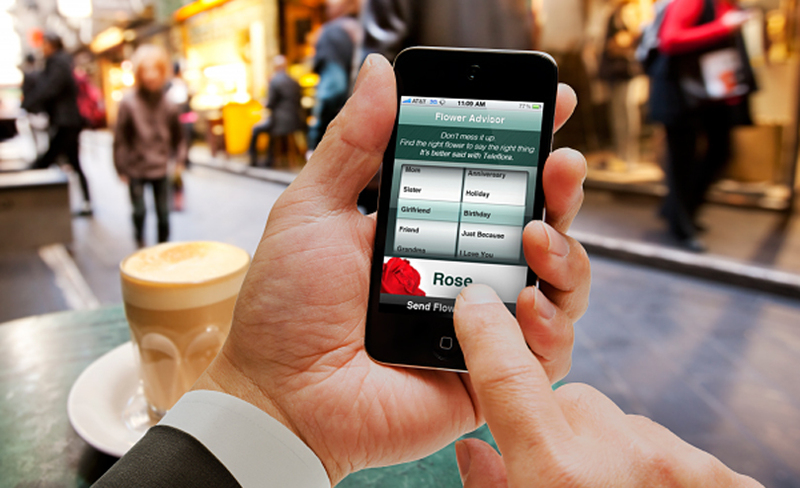 1-800-Flowers launches the BloomNet network, connecting its florists electronically. FTD launches FTD.com. Perry Capital acquires FTD, which was formerly a coop owned by florists. Florafax incorporates The Flower Club, Inc. to market directly to large companies. 1-800-Flowers purchases the Conroy's Flowers franchise business. Meg Whitman named President and CEO of FTD. 1-800-Flowers registers 1800flowers.com. Teleflora acquires National Florist Directory (also known as Redbook). USA Floral Products, Inc. is founded to be a national consolidator and operator of wholesale florist suppliers. ProFlowers, later known as Provide Commerce, is launched by Jared Polis. Gerald Stevens is formed to consolidate the retail florist industry and a reverse merger with Florafax International is announced. The company begins to acquire some 300 U.S. florist outlets. FTD becomes a publicly traded company on NASDAQ. 1-800-Flowers becomes a publicly traded company on NASDAQ. Gerald Stevens acquires FlowerLink and Calyx & Corolla. Teleflora acquires American Floral Services (AFS). Gerald Stevens is delisted by NASDAQ. USA Floral Products is delisted by NASDAQ. FTD is taken private by Leonard Green & Partners. FTD becomes a publicly traded company again, this time on the NYSE. FTD acquires Interflora Holdings in the UK. 1-800-Flowers acquires Fannie May candies. Liberty Media Corporation purchases Provide Commerce, including Proflowers, Cherry Moon Farms, and Shari's Berries. Interflora is acquired by Flying Flowers, Flowers Direct, and Drake Algar in the UK. FTD is spun off from United Online, as an independent publicly traded company on NASDAQ Teleflora acquires Toronto-based Flowerbuyer.com, an online wholesale florist service. FTD announces the acquisition of Provide Commerce, including ProFlowers, Shari's Berries, and Personal Creations. 1-800-Flowers announces the acquisition of Harry & David Holdings.